Relocating your office can be a tedious task, especially when coupled with the daily responsibilities that come with running a business. The key to balancing these objectives lies in taking the proper measures to set the stage for a smooth transition—something experienced movers know all too well. Steinway Moving & Storage, a leader in commercial and residential moving for more than 90 years, was recently featured in online business publication CEOWORLD Magazine, outlining the best office relocation practices. Titled "Tips for Moving Your Office Quickly, Efficiently, and SANELY," the article provides valuable insights on preparing and executing such a significant transition to ensure success. The most important component is time, something that must be managed from day one by laying out a strict timeline and sticking to it. Begin several weeks to months, if possible, in advance of the designated moving day, and set “mini-deadlines” along the way. There’s no point in moving old office equipment or furniture you no longer have a use for, so be sure to take inventory of existing assets prior to packing. Set aside those items suitable for sale or donation, and take this opportunity to consolidate unneeded files and documents as well. Once you’ve settled on those belongings you wish to relocate, take care to label all boxes, detailing their respective contents, departments they may be associated with, and what room they’re destined for. This will aid in strategically loading the moving truck, as well as facilitate the unpacking process. When it comes to the equipment itself, many moving companies will provide packing services for your more fragile technology and equipment, including computers, scanners and printers, ensuring safe transport to its new home. If new equipment is on the docket, this can be easily delivered to the future location, and installed on site. For more helpful hints on how to successfully move your office, read the entire article at CEOWORLD Magazine. 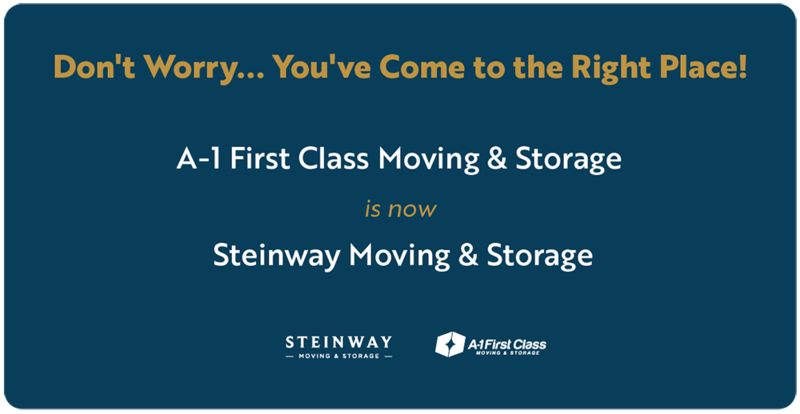 If you’re in the market for commercial moving services, request a quote from Steinway Moving & Storage today.